Mood light LED strips to paste on a TV to eliminate eye strain and improve the viewing experience. Watching TV in a dark room can cause eye strain as the eye muscles constantly contract and expand due to the large difference in luminance between the dark room and the TV screen. Regular room light, on the other side, reduces the viewing experience. 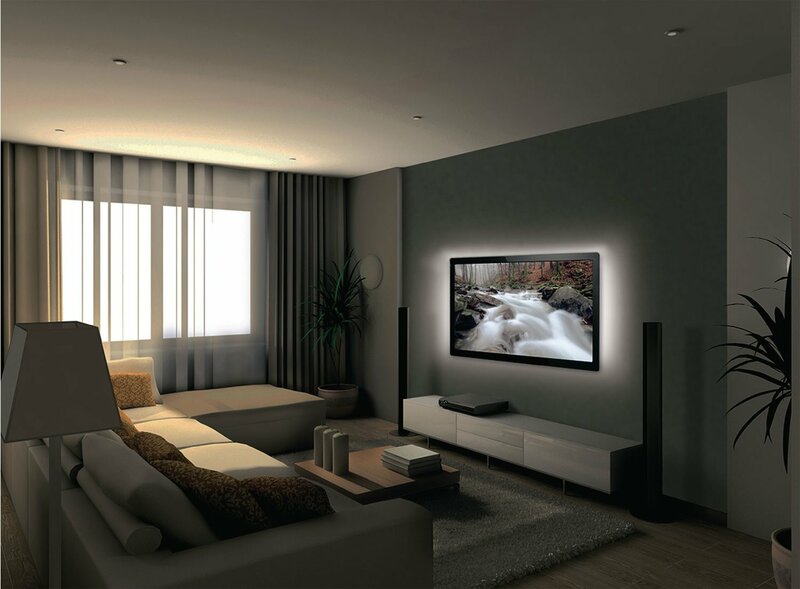 The mood light highlights a TV with a cool, white light that does not reflect in the screen, solving all these problems while matching every interior. 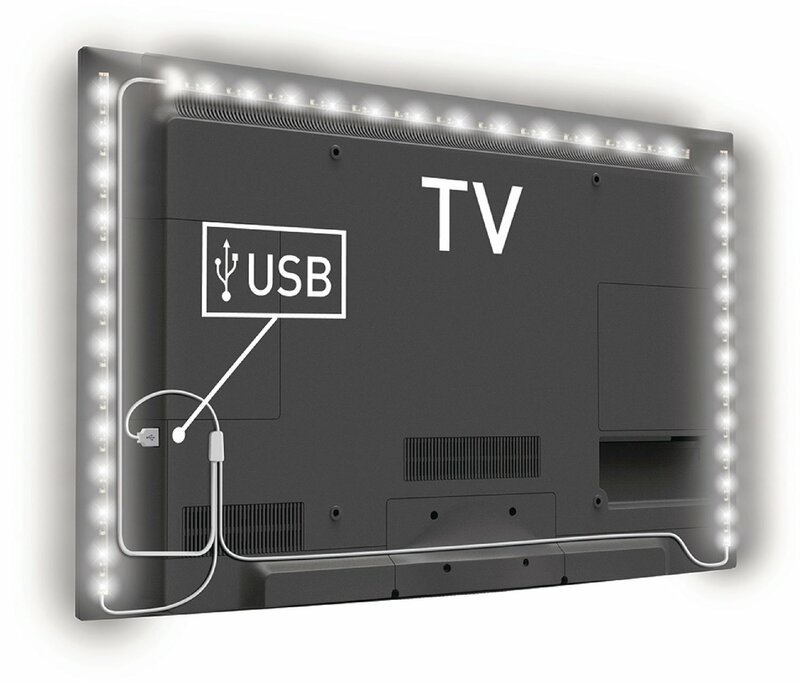 It consists of three dimmable light strips connected to one USB power cable which allows for a large mounting flexibility.